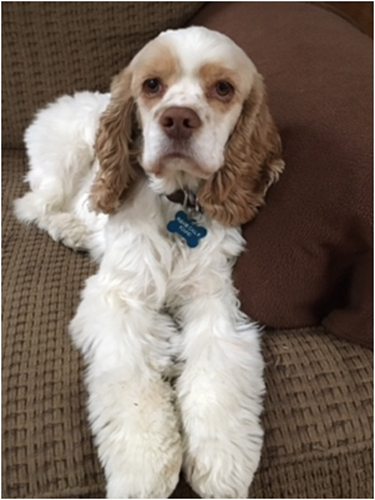 Bailey [Adopted March 2016} is a 3 year old, red and white female cocker spaniel who came into the rescue from a private surrender. She adjusted easily to our home, getting along well with our dogs as well as quickly learning and following their routine. Bailey loves to walk, and walks well on a leash. She is crate trained, and is close to being house trained. She is happiest when sitting on our laps or watching for squirrels at the window.